Say hello to these Malaysian dancers who are bringing fierceness and finesse onto the dancefloor. 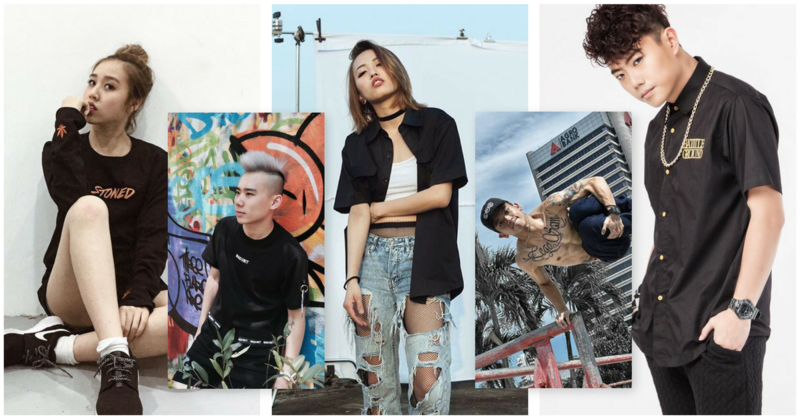 Whether you have gushed over their moves in the battleground or awed at their dexterous skills in the competitions, these dancers are paving the way for more young talents to channel their expression through body language. Far from ordinary, Jackson Boogie J is the name that echoes through the Malaysian dance circle. The owner and founder of FreakZ Dance Academy, he earned some impressive accolades from Astro Battleground, World Hip Hop International, and 8TV Showdown. Sign up for a class and you’ll learn a thing or two about hip hop, popping, and locking from the man himself. A Malaysian dancer who is easily intoxicated by wild beats, upbeat rhythms, and fluid dance steps, Lady Seven is part of the Katoon Network (K.T.N.K) dance crew. Coupled with her impeccable taste in street wear, this femme fatale is known for unleashing some sleek hip-hop moves anywhere from K-Pop dance covers to dance practices. Challenging Bboy Lego Sam to breakdance? Count us out. With break beats and hip hop running through his veins, the agility and finesse that he kept hidden in his black snapback can catch you by surprise. Don’t believe us? Catch him bending the rules on the dance floor as a member of Cypherz Kingz and Katoon Network. Always a standout with his platinum blonde streaks, it’s pretty easy to spot Danny Lee while he’s out with the Rejuvenate Dance Crew. His obsession for precision and out-of-the-box moves shine through the dance snippets he shared on social media. Just a few months back, Rejuvenate Dance Crew stole the show at the World of Dance in Beijing. Therefore, you won’t be seeing the last of him and his dance crew, and that we can guarantee. Anyone who is familiar with the Red Lycans dance crew will know the kind of moves that Yuki can bring on stage. I mean, have you seen them at the Astro Battleground in 2016? The dance crew champion killed it! Whenever she takes a breather from her crew, she continues to hang at the studio and break it down with impressive fast-tempo choreography. You definitely can’t take dance out of this dancer, that’s for sure.